It was a day of mixed emotions at the bottom of the Premier League as Cardiff and Burnley picked up vital wins in their battle to stay in the top division whilst Huddersfield and Fulham sunk to miserable defeats. We certainly have a relegation battle on our hands here as there is only a point separating 16th-18th, but if you are to look any further below, it’s looking rather bleak. Huddersfield, currently the leagues lowest points and goal scorers we subject to another defeat at the John Smiths Stadium today, They managed to lose 2-1 but not actually score themselves perhaps summing up their fortune this season. Two first half goals from Iwobi and Lacazette set the pace for the game it was only when Kolasinac’s deflected own goal went in on 93 minutes that there was any hope for Huddersfield. This proved too little too late and the Terriers struggles continued. They now sit rock-bottom of the league on 11 points from 26 games, 13 points off safety, and really aren’t showing any signs of staging a miraculous come back. Difficulties are at both ends of the pitch. 14 goals in 26 games is never enough but is certainly not helped by the 48 they have conceded at the other end. The odds being given on them to be relegated shows just how confident people are that they will be heading for the drop. They can be found at 1/200 to go down at William Hill, and this is being generous! Fulham’s defensive problems just aren’t improving. Goal scoring has not been a huge issue for Ranieri’s men, but their defensive frailties were on show again today. Losing to this Man United side is nothing to be ashamed of but the manner of defeat should be. Fulham were lacking leaders and never really showed any desire to get back into the game. The 3-0 scoreline was fair and took Fulham to 58 goals conceded this campaign. Defensively they are going to need to improve in the last 12 games of the season if they are to have any chance of staying up. They currently sit 7 points adrift of Newcastle in 17th which is why they can be found at odds of 1/10 with Coral to be relegated. There is certainly work to be done. Results at Cardiff have taken a back seat after the recent tragedy involving Emiliano Sala. Today’s performance could be dedicated to the striker as this was one full of passion and character. Cardiff took the lead in the second half but looked like they were heading for just a point when Stephens equalised in stoppage time. Zahore proved to be Cardiff’s hero when his 93rd minute winner condemned Southampton to their first defeat since December. This was more than just 3 points as it took Cardiff above the Saints and out of the relegation zone, a classic 6 pointer! The result only takes Cardiff 1 point above safety but the nature of the win, surrounding everything that has gone on recently, will provide a massive lift! 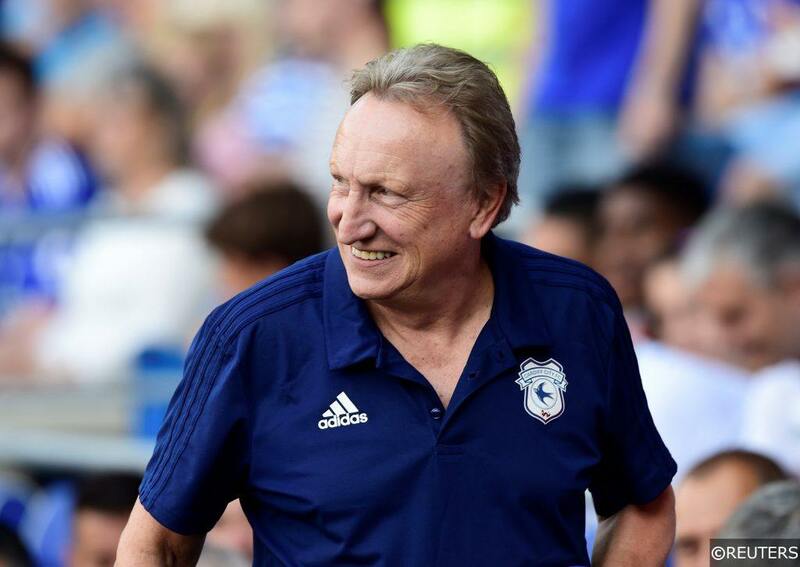 Cardiff are now at 4/5 with Bet365 to be relegated which could prove good value if today’s performance is anything to go by! It was a surprise that Burnley have been so poor this season and found themselves in a relegation scrap. Todays 3 points at the Amex took them level on points with the Seagulls and 3 points clear of the drop. Failure to win today would have seen them below Cardiff, everyone’s pre-season favourites to go down, so the importance of today’s win cannot be overestimated. Chris Wood provided 2 important goals so if he can stay fit and continue scoring Burnley should have too much quality and experience to go down. If you do fancy them to face the drop you can find them at 4/1 with Paddy Power. Let us know in the comments who you think will be playing Championship football next season and who will avoid the drop. Categories: Blog and Football. Tags: Arsenal, Burnley, Cardiff, Chris Wood, Fulham, Huddersfield Town, manchester united, premier league relegation, and Zahore. Team Tag: arsenal, burnley, Cardiff City, fulham, Huddersfield Town, Manchester utd, and Southamptom. League: England Premier League. Sports: Football.